2.UCHI is equipped to design and produce custom components to meet many design and reliability demands. Contact us with your specific needs. 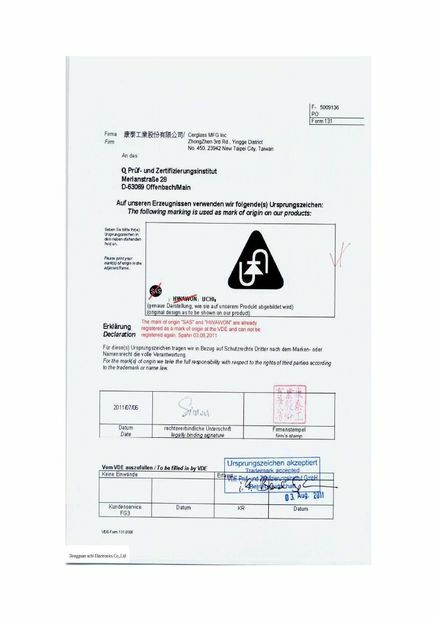 4.Conforms to the ROHS standard and the LEAD-FREE non-lead standard. 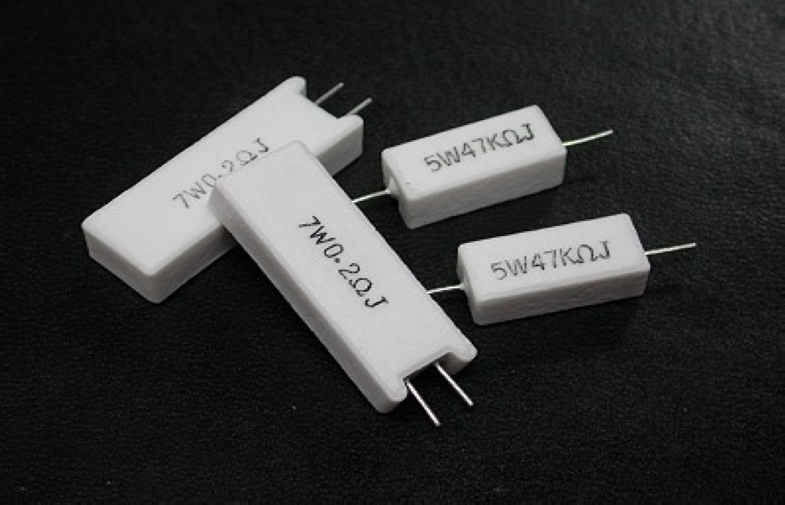 1.cement resistors are made by winding resistance wires around non-alkaline ceramic core,which is added with a layer of heat and humidity resistant and non-corrosive protective material. 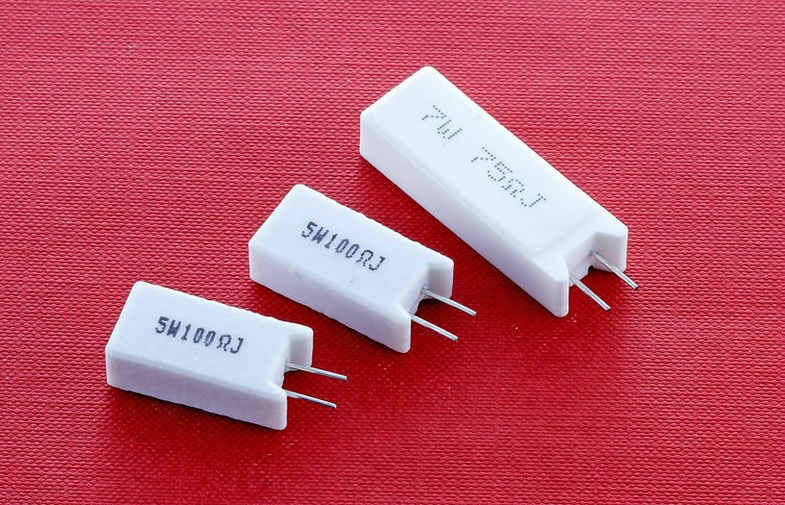 2.The wire wound resistor is then placed in a square ceramic package sealed with special nonflammable heat-resistant cement. 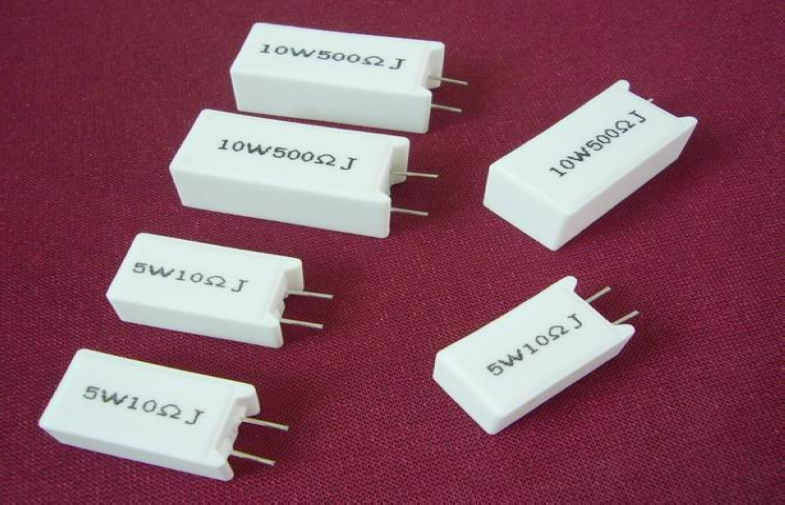 3.For high resistance value,wires are replaced by metal oxide films. Complete insulation suitable for printed circuit boards,Power supplies ,Voltage dividers ,Motor controllers ,Automotive applications ,Power electronics circuits. 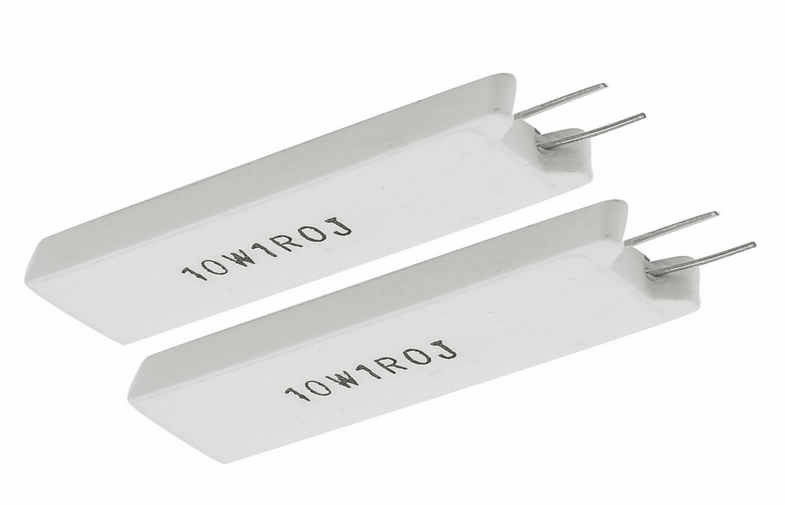 This specification is available for Cement Resistor manufactured by,it accords with RoHS test of Environment related substance requirement. 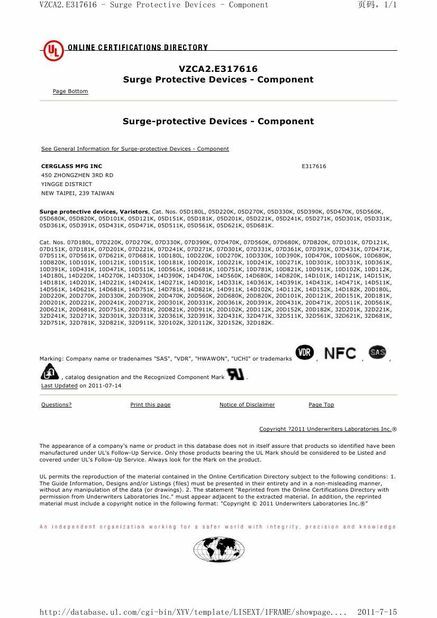 The type designation shall be in the following form and as specified. from the derating curve of Fig.1. the rated power and the value of which is calculated from the formula below. The dimensions shall be satisfied with [5. External dimensions]. High alumina ceramic is used. The lead wire,which is plated with solder,shall be mounted to the caps by welding process. Soldered or tinned annealed wire. R0:Resistance value at room temp. ( T0). No evidence of mechanical damage. But not to exceed maximum overload voltage. Resistor shall be tested at AC potential respecticely for 60 seconds. But not to exceed maximum pulse voltage. After test leave for 0.5h. Covered with new solder by 95% at least.